Hotel Limmathof terletak di bangunan bersejarah, kira-kira 300 meter dari stesen kereta api utama Zurich dan menawarkan akses mudah ke semua destinasi di seluruh bandar ini kerana perhentian pengangkutan awam “Pusat” terletak betul-betul di hadapan hotel tersebut. Para tetamu boleh ke kawasan membeli-belah, muzium, teater, panggung wayang dan universiti dengan mudah secara berjalan kaki. WiFi boleh didapati di semua bilik di hotel Limmathof secara percuma. Lapangan Terbang Zurich terletak 35 minit dengan menaiki trem bernombor 10. I went to a private party and needed a place to sleep. 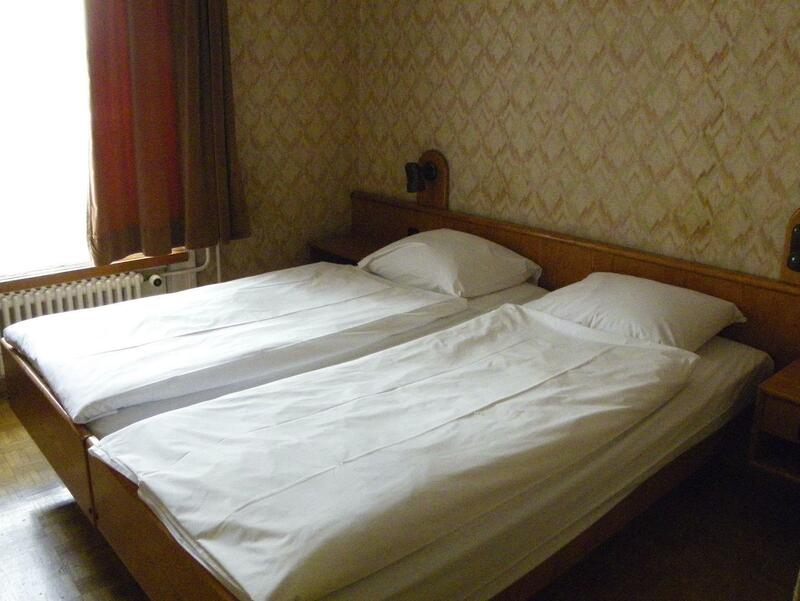 The hotel is convenient for zurich and the location so close to the train station is perfect. I wouldn't come here with my girlfriend. But sleeping for a few hours is okay. Limmathof Hotel is just few minutes walk to train main station and it will be convenient to go around,. Walk towards left side from main door is a series of shop, walk towards right is main train station. Simple and clean room, good for short stay and conveniently located 5-6mins walk from main train station. Starbucks is just nex door and old town is just round the corner. There is also a supermarket (co-op) just across the road. We managed to get wifi connection from the room even though it was only available in the lobby area. Bathroom was big and clean with ample hot water. There are no facilities like safe box, fridge, water boiler and English tv channels. Perfect location (walking distance to train station, restaurants and shops), clean and accomodating staff. It's only a bit costly. Everything is very near to you, Old city, Train Station, Shopping Streets, Tram, food markets and restaurants. Staff is very friendly and helpful, they take very good care about their customers. 5min walk from the main train station (Zurich Hauptbahnhof) and right below ETH and the University of Zurich make this a great location (also for nightlife, though we did not indulge in that). At the edge of the old town. We enjoyed the room, the service was good. Breakfast selection was limited, but if you like (good) bread and jam, milk, coffee and yogurt, life is good. Overall, we were very satisfied, especially with the convenience of being walking distance to all of old Zurich. Location of this hotel is great, just next to the UBS Polybahn which you could get up to ETH Zurich easily. Average booking fee compared to other hotels near Zurich Central. Breakfast cost 6 euro which is acceptable but not very much of choice could be offered. 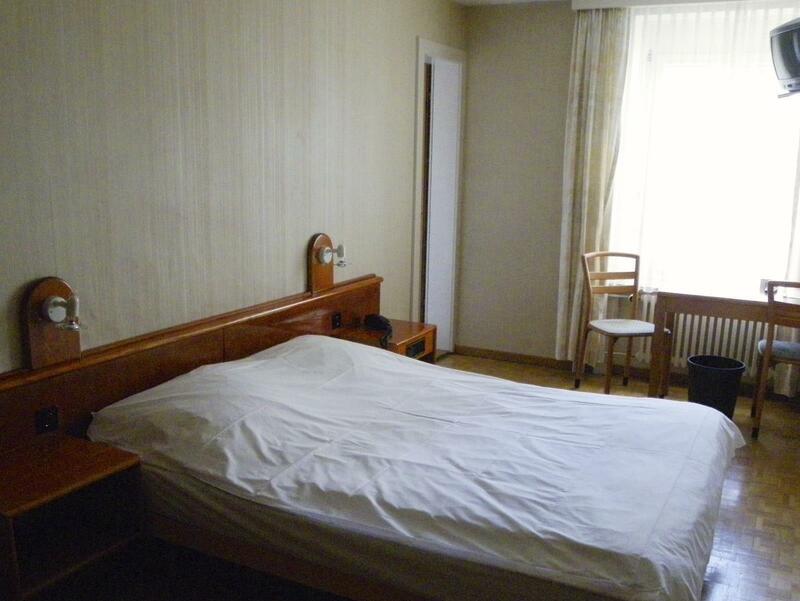 Room was tidy and one-day city travel card could be provided if no swiss pass with you. 10mins walking distance from Main Train Station, Quick check in without fuss. Room is simple and cosy. Flat Screen TV, Morning tram will rumble pass the building waking you up of your slumber softly. Toilet is small and clean. Lots of staircase to climb to reception. It will be troublesome for those lugging heavy bag. Located at the old part of Zurich. I stayed at this hotel for two nights. It was clean and close from the central station. One thing I didn't notice was that I have to pay on site. I thought I payed for the room fee in advance online, but the staff said they charge me when I arrive at the hotel. I was confused a little. Other than that, the hotel was nice overall. we only stayed for one night and the location is quite near the railway station, also close to lots of restaurant and river. It is good choice for people only stay for short time but want to see the city center. Nice little hotel, good price, clean and comfortable. It is pretty basic a small desk, a small bed, a closet and bathroom, all clean and well serviced. Zurich is not a cheap city and this hotel is good value for money in its privileged location, less than 5 minutes walk from main station, easy to find, plenty of transport options restaurants, bars etc around. Service was good enough, good for a quick stop in your travel or for budget travelers looking for sightseeing. Location is good because just 5 mins walk from the station,and it's easy to find. But it get around ten steps before you reach the reception or lift, so if your luggage is heavy, you better have strong arms. And there're supermarket -Coop, Starbucks, Italian and Swiss restaurants nearby. It's also convenience to reach the Limmat Quai, Grossmunster Kiche.....and shopping area. The hotel was clean and very near the foot traffic part of old town. They also offered wifi, but only in a common lounge area. Our power converted wouldn't work in their outlets, so with a deposit, the hotel lent us one free of charge. Breakfast was not included, though there was a restaurant in the building that offered it. It is also at a corner where the trams pass by and where pedestrians wait to cross the street to get to the train station. It has potential to be quite loud (our room overlooked this corner) but it wasn't bad the nights were were there...except for about 15 minutes when a troop of over 50 football hooligans were singing and cheering at the top of their lungs while waiting to get to the train. this hotel is within walking distance to the main train station. only 5 min walking. so it is good for shopping and sightseeing. it is located in shopping center and public transportation center. there are many bus lines here for you to go anywhere. the famous shopping sites and finance centers are all in walking distance. you may also walk along the river, too feel the history of the city. 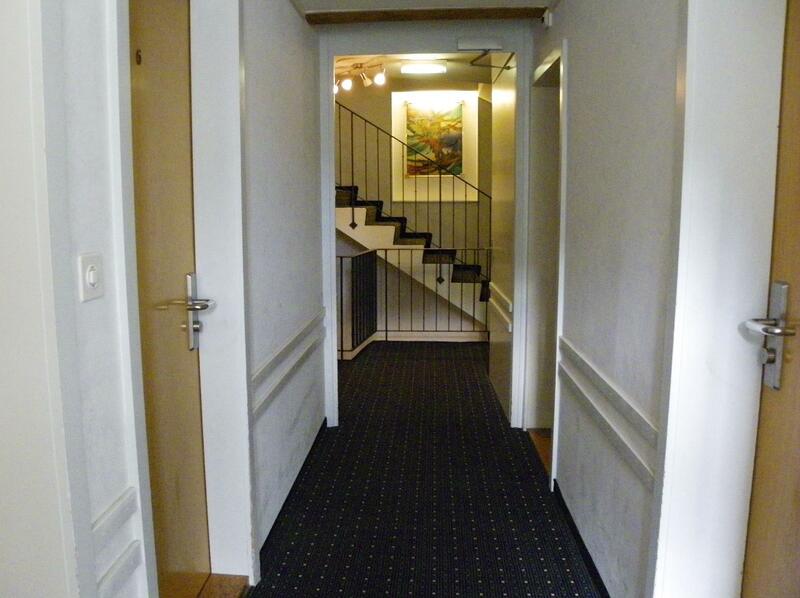 just few minutes walk to the zurich hb, very good location. the room size is ok, but can't really open the curtain as it's very close to another building, as we were not in the room most of the time, it's still ok as the price is acceptable compare to other hotels and the location is really good! ps. the receptionists at the hotel are so good looking and friendly! friendly staff that allowed early checked in. the rooms are not big, but very clean. simple amenities. location was really fantastic, 3-5 min walk from zurich main train station. it also situated in the heart of the shopping and restaurant stretch in zurich main centre. I was traveling alone, and only staying one night to recover from jet lag. The hotel was easy to find, even by myself with all my luggage. The room was clean, and although small, not too small - the bathroom in particular was reasonably sized.